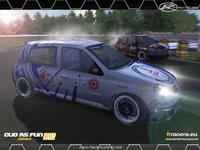 Standalone mod including 3 chassis types : Clio RS FunCup, Clio RX FunCup and ClioCup 2005. The cars feature gravel tires, handbrake, adjustable gearbox, new physics, new sounds and a large amount of new skins. New physics, new skins, new sounds ..
Update and new mod available on October 30th 2013. 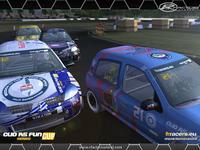 In Clio RS FunCup mod you will find 3 different cars : Clio RS FunCup, Clio RX FunCup + ClioCup FRRacers 2005 ' New Physics '. There will be also a large choice of skins: + of 45 new original skins. 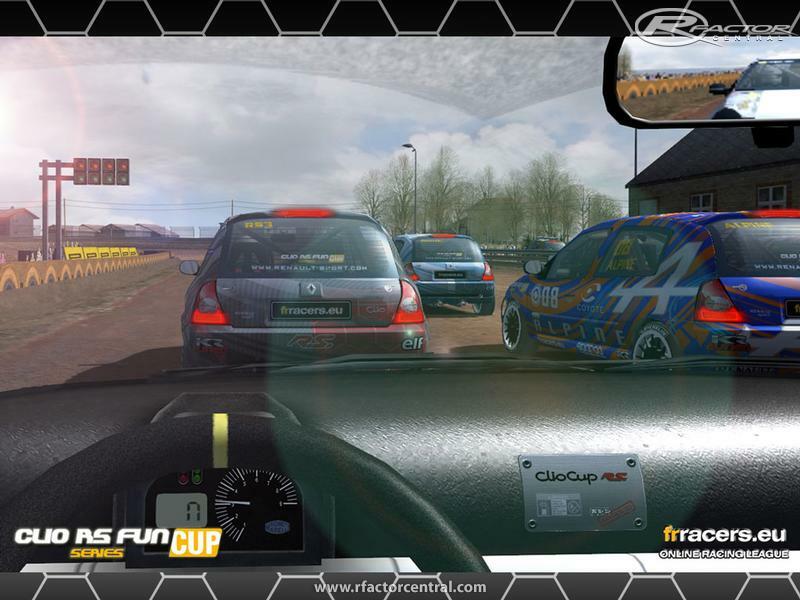 Check on main website ( http://rsfuncup.frracers.eu/index_en.html ). Clio RS FunCup's Beta 4.2.1 is approved. We have to add some skins and some goodies. 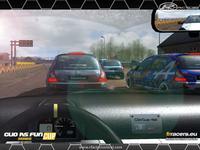 This release is well and truly a full mod and either a ClioCup FRRacers add'on. 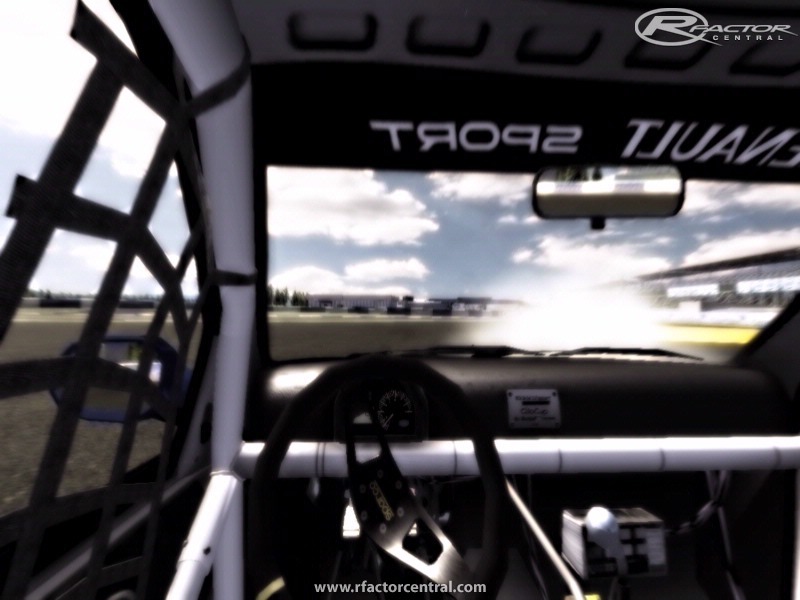 We had in project to remodel the physics of the ' ClioCup FRRacers ' mod released in 2007. At first the ' Clio RS FunCup ' project had to be only an add' on. Then one thing leading to another it fast became a full mod, because by wanting to remodel a funnier frame and a more powerful engine, we fast reached a ' new ' Clio. The mod will be available on October 30th. It will contain 3 different cars: Clio RS FunCup (more powerful and funnier), Clio RX FunCup (RallyCross version of the RS) and finally, ClioCup FRRacers on 2005 with revised physics. I'm looking to contact someone of the creators of the mod. Can someone send me an emailaddress via private message?! 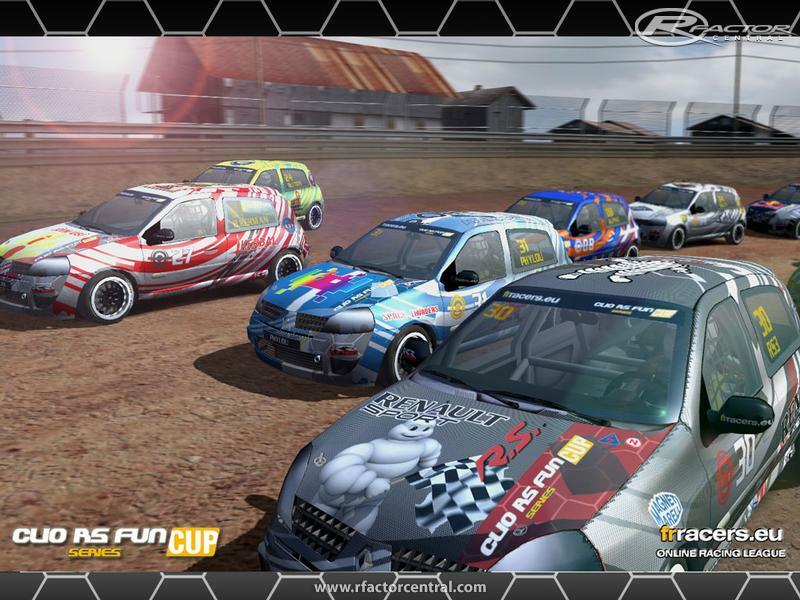 Hi I'm Nicolas de uruguay know I can use your mod Clio Cup FRRacers for editing and create one that I create some categories of local uruguay. I like theses Clio a lot ! Great job ! However, i have a suggestion: To play offline correctly with the french drivers, i need to delete the "FRRacers" "clio_cup_PC" and "renault_sport" directories in \rFactor\GameData\Vehicles\clio_cup\clio\. Why wouldn't you do a category in the game so i can play with only the french drivers and / or the xtra vehicles? I'm puzzled. I installed this mod in rfactor and the Clio doesn't show up, although it is present in the appropriate rfactor folders. What to do?